The Islamic Cultural Centre in London celebrated international Arabic Manuscripts days with a series of activities on Saturday 8th April 2017. The Celebrations were in spirit of the Arab League, Education, Culture and Sciences Organisation in Tunisia annual celebrations highlighting the prominence of Arabic Manuscripts in the Islamic and eastern civilizations. 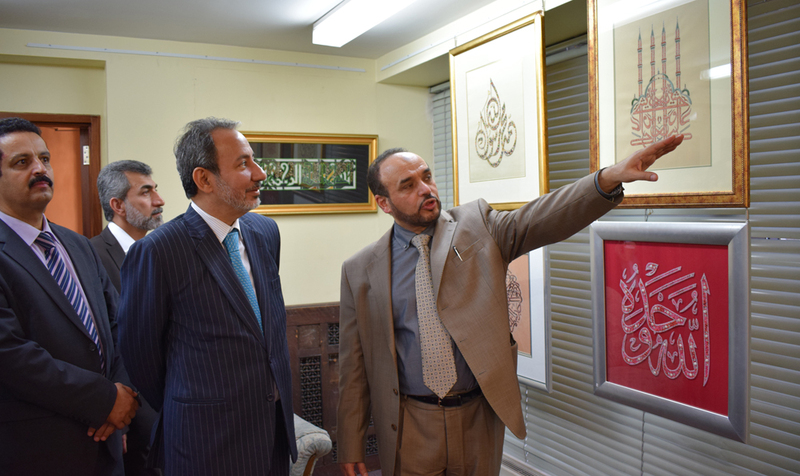 The Islamic Culture Centre in coordination with the Institute of Arabic Manuscripts in Cairo embraced the potent virtues and importance of manuscripts through its celebrations consisting of lectures, calligraphy workshops and an unique hand embroidery exhibition. 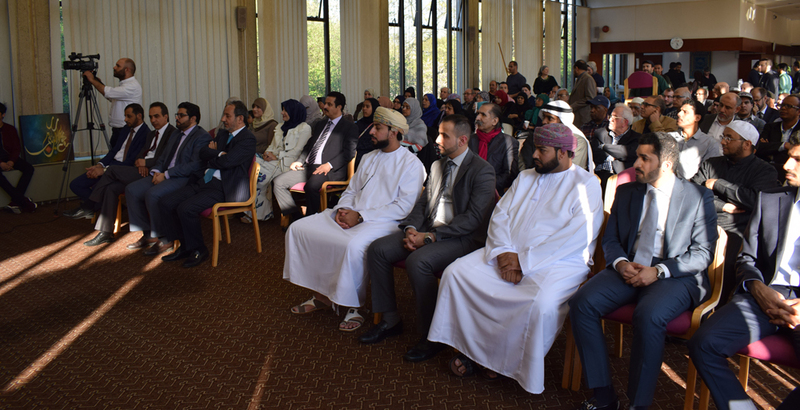 The Event was opened by His Excellency Abdulaziz Bin Abdullah Al Hinai Ambassador of the Sultanate of Oman and Deputy Chairman of the Board of Trustees of the Islamic Cultural Centre. 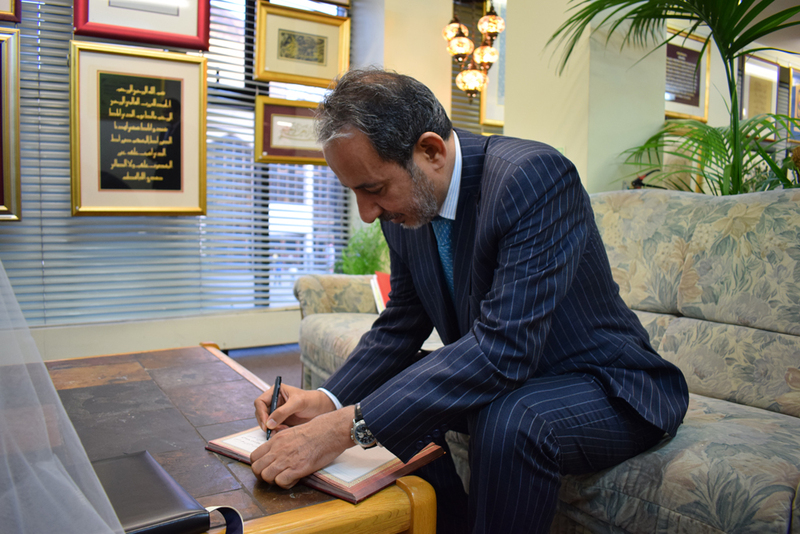 H.E the Ambassador played tribute to the Centre for its efforts in preserving and enriching the community's awareness of the importance of Arab Manuscripts. His Excellency played tribute to the Centre's administration for taking up the celebrations and portraying its value in our lives today. 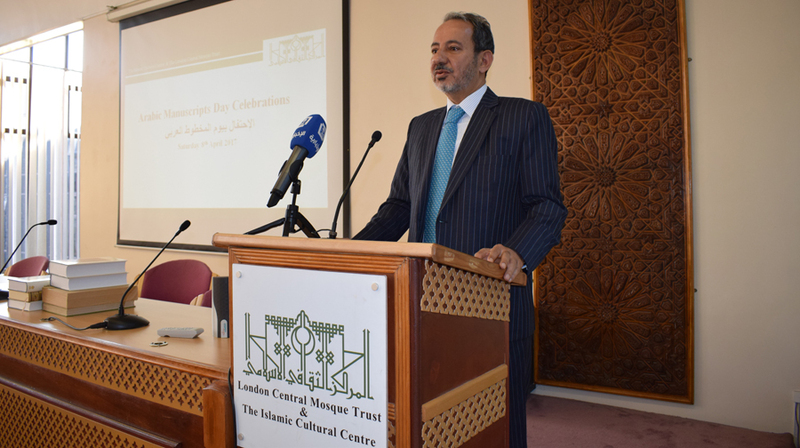 Dr Ahmad Al Dubayan, Director General of the Islamic Cultural Centre in London explained in his lecture the reason behind celebrating Arabic Manuscripts and the importance it yields for us today. 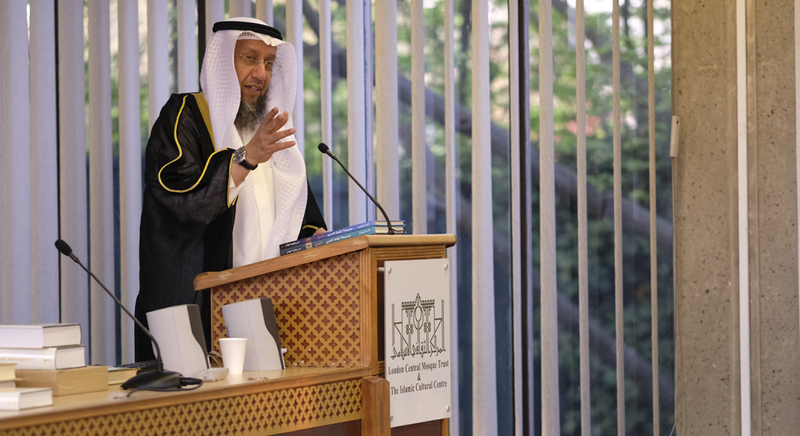 The event was followed by a talk by Sheikh Jassim Alenati of the State of Kuwait who discussed the importance of Arabic Calligraphy and how Calligraphy was developed as an art in Arabic Manuscripts. His Excellency Mr Abdulaziz Al Hinai then officially opened the exhibition of Hand Embroidery Islamic Calligraphy by the Artist Shams Un Nisa. 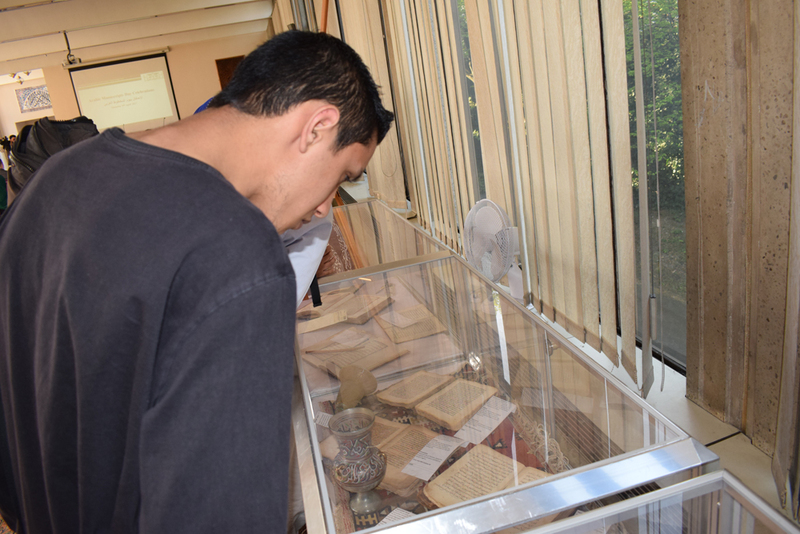 There was also a display collection of Arabic Manuscripts of the Holy Quran curtesy of the Collector Mahmood Al Hareiri.